Our Frenzied Hemp is available in original and chilli flavours in both tins and jars. All of our premium particles are cooked inside the jar/tin so that all of the natural oils, attractants and goodness are retained. Absolutely no preservatives are added resulting in a 100% -natural bait. The 2.5l jars are ideal for long sessions or when you know you will need a lot of bait and the 700g tins are perfect for shorter sessions or just keeping one handy in your carryall or rucksack. 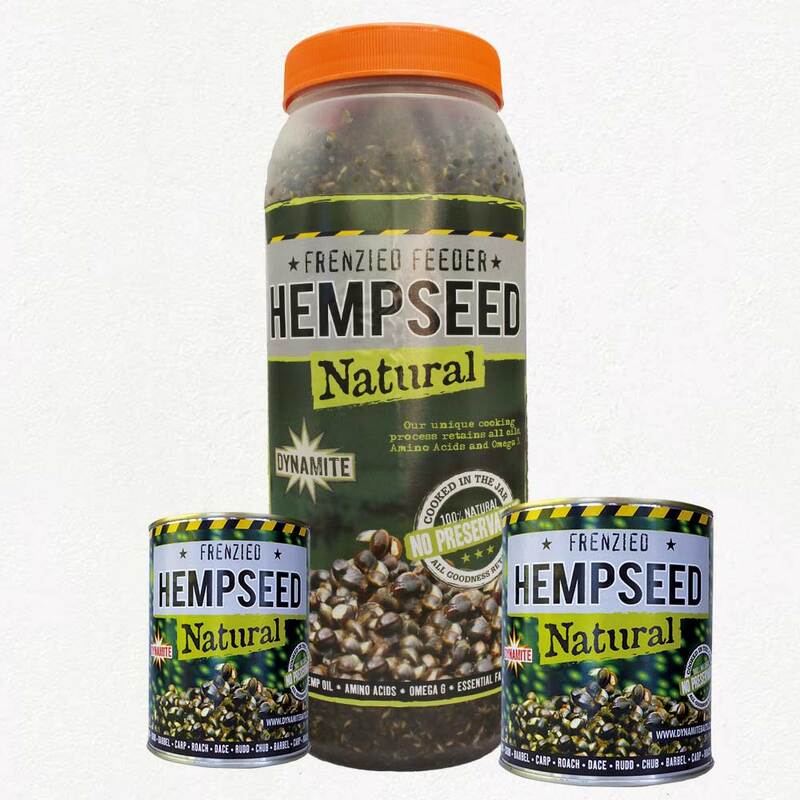 Original hempseed is also available in smaller 350g tins which are ideal for short sessions or when you don’t need much bait.